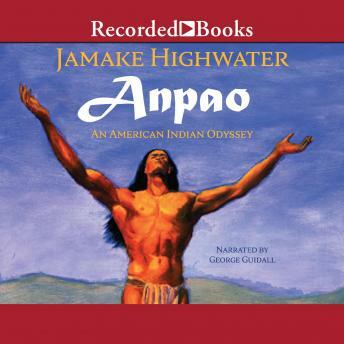 In the tradition of the Native American storyteller, Jamake Highwater weaves generations of legends and stories into the haunting legend of a handsome young brave named Anpao. When Anpao falls in love with the beatuiful Ko-Ko-mik-e-is, she tells him she belongs to the Sun alone. Before they can marry, Anpao must complete a dangerous journey to the house of the Sun to get permission to wed his beloved. As a sign of the Sun's approval, the scars will be melted from Anpao's tawny cheek. This journey takes him backwards and forward in time and space, from the dawn of time to his eerie meeting with the deathhorse and its horrific rider, Smallpox. In translating ancient legends into a modern folktale, Highwater allows the non-Indian listener rare insights into a Native American view of history. In presenting the images that are uniquely Indian, Highwater does not revert to symbols of white culture. He retains the other-worldly, magical quality of Indian tradition, making Anpao a uniquely enriching and unforgettable listening experience.